Current Electric has been lighting up Santa Barbara since 1989! Thank you for visiting our new Internet site CurrentSB.com. We want to give you the opportunity to stay in touch with our company and our work. 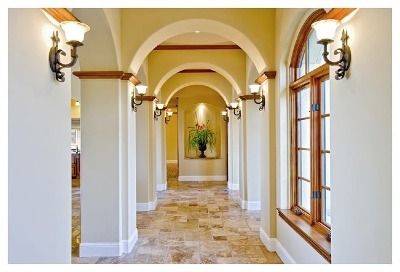 Currrent Electric provides professional electrical services for residential, commercial and estate properties. You should know the following about us: our company was established in 1989 and has been responsible for providing outstanding electrical contracting services ever since. Our service area encompasses the greater Santa Barbara area including the Santa Ynez Valley. Our regular customers particularly value our commitment to provide quality electrical work in an honest, ethical and professional manner. We stand behind our work and are proud of it! At present, our web site is still under construction. We are making an effort to present you with our entire content as soon as possible. At this point we can provide you with information regarding all your electrical needs. The emphasis of our site will be on getting you the information you need. If you are not familiar with Current Electric and your first contact with us is online: We would be pleased to hear from you! Please let us know what your needs and questions are, we will be more than happy to help.